I promised on Sunday to give a detailed description of how I made my bullet journal and now its time to do so. As a matter of fact, I had planned to do it yesterday - that is why it was on my Monday bullet list. As it happened, I had overestimated my abilities to get things done in just one day. So today I had to clean up yesterday´s bullets and here we are - finally. When I started my bullet journal, I did not have to buy anything new because I had everything I needed at home. I chose an old notebook with soft, black cover and decided it would be my bullet journal. Then I printed out two calendars: one large and the other one small. 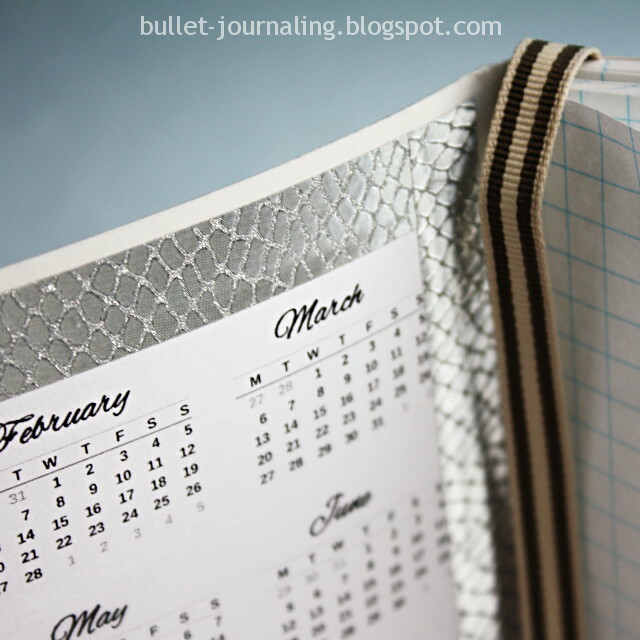 You´ll find the link to my free, printable calendars at the end of this blog post. I glued the small calendar inside the front cover of my bullet journal with a gluestick. To make it stick better and to make my bullet journal look pretty I framed it with silvery decoration tape. 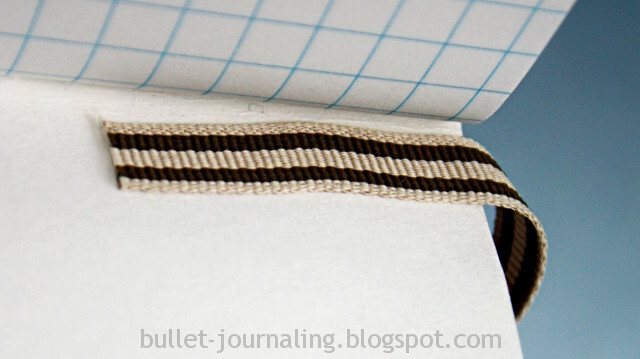 In my experience, it´s easy to find your last journal entry quickly, if there´s a ribbon to point it out. So I attached a ribbon to the back cover of my bullet journal with pieces of very sticky double sided tape. I was very pleased with the way it turned out. Now my black notebook looks like a real journal! Next I created the index page. I listed all months and some collections pages that I thought would be useful. I haven´t got any habit trackers yet, but I´m going ro list them on the left side of this spread later. I´m going to add some other pages as well, as I get them started. I used the 2017 banner from the large, printable calendar on top of the page. Next I jumped to page 5 to create my first month page. As I only list the most important events, plans and goals at monthly basis, I thought one page would be enough. I´ll list my accomplishments on this page at the end of this month. I used my own free printables to make the page look more colourful and nice. In addition, I cut out January from my small printable calendar an attached it on top of the page. I am going to mark important dates there, if something comes up. I´ts day three of my bullet journaling project today, so that´s about all I was going to say this time. 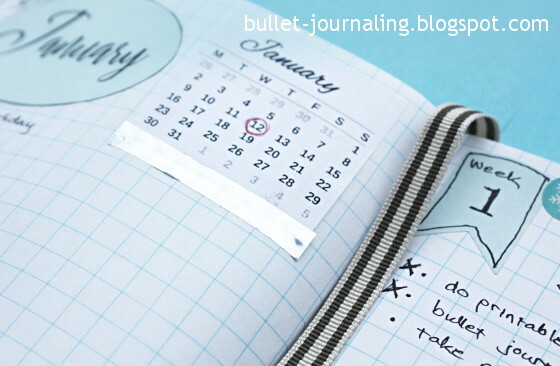 I´m excited to see, if my bullet journal will help me prioritize my life, as I have so much going on right now. 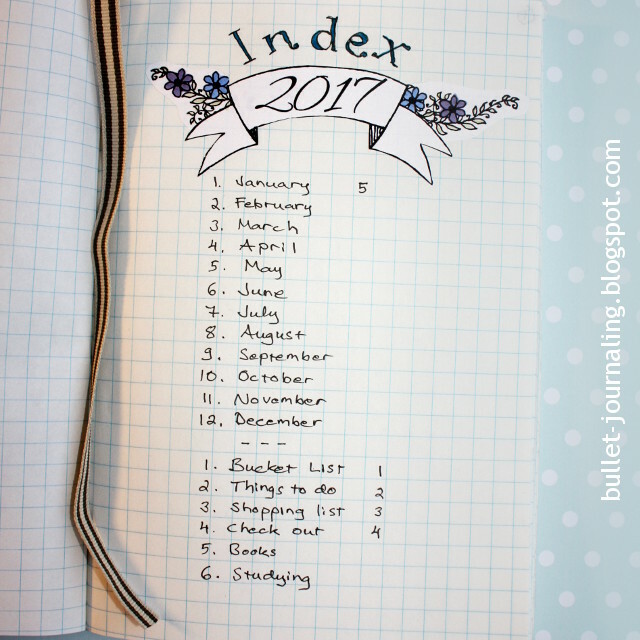 I have huge amount of ideas about bullet journaling as well, so I´ll be back soon!